Marsden & Barton are an established family business covering all aspects of Plumbing and Central Heating services across Bury, Manchester and the surrounding areas. Has your boiler broken down? Need a reliable local Plumber in Bury? Call Marsden & Barton! Require plumbing work, boiler repairs or central heating installation in Bury, Lancashire or North Manchester? Why not request a competitive quote from the experienced Plumbers and Heating Engineers. Our company has a rich and solid history, established in 1909, Marsden & Barton Ltd are a reputable family run business who are completely dedicated to providing high quality plumbing services at extremely competitive prices. 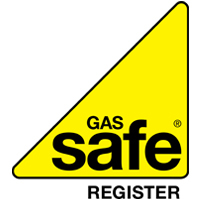 You will be pleased to know that all of our work is carried out promptly and professionally by our experienced team of Gas Safe plumbers and heating engineers. We cover all aspects of work from dealing with the simplest of plumbing issues to brand new domestic, commercial and industrial installations. Commercial: Nursing Homes, Restaurants, Schools, Shops, Factories, Warehouses, Churches, Hotels and more! We make every effort to provide you with a first time solution! Located in Bury, Lancashire and North Manchester. Call us on 0161 761 4994 or on mobile by calling on 07970 695 350. We are proud to cover all aspects of Plumbing! We also offer Routine & Emergency Call Outs for all our customers! We offer all types of Heating Services, including fault diagnosis, Servicing, repair and installation work on all types of heating system in Industrial, commercial and domestic premises.